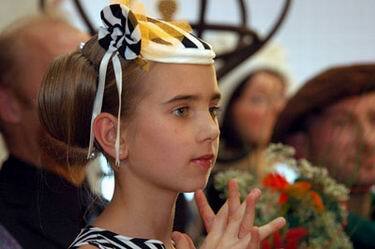 Egle Jurgaityte was born on 24th of January, 1998. 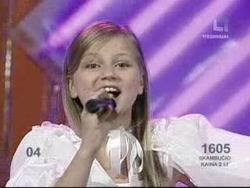 She has been taking vocal lessons with leading Lithuanian teachers since she was four years old. She also attends a music school, takes ballet and modern dance lessons and plays the piano and dreams to become an opera singer. As she says, music is her dream and she is the happiest girl in the world when she can sing, dance, play and appear on stage in front of an audience. In her free time she writes poems and lyrics for her songs and in the evenings she likes to knit something nice for herself. 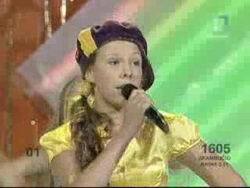 Her first award for the best vocal performance Egle received at the age of 4, in 2002, at the International Pop Festival 'Dzukijos Stars' (Alitus, Lithuania). 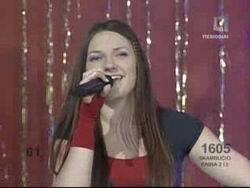 In 2003 вЂ“ 2004, she sang in the Children Vocal Band 'Microphone' which performed in the cities of Lithuania, participated in Pop Song Festivals in Yurbarkas, Shaulai, Visaginas. 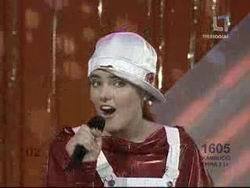 As the member of the band she appeared in the clips 'Train' and 'Thunder Roars'. 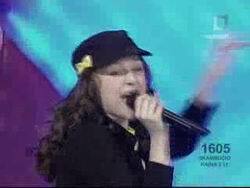 In 2004, Egle attended Dvarenis Musical School in Vilnius, since 2005, she has been practicing vocal under Nijole Matsekaitite, who also helped Egle to prepare for Junior Eurovision. 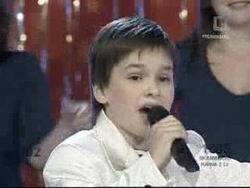 In 2007 - I Prize Winner of the International Contest 'Star of Crimea' (Ukraine); 'Kaunas Talent" (Lithuania); II Prize Winner at International Song Contest in Kielce (Poland), 'Bajorkiemio ruduo' contest. 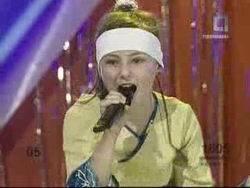 In 2008 - finalist of the Television Vocal Contest 'Little Stars Ring 3' (Vilnius), participant of 'Slavyanski Bazar in Vitebsk' (Belarus) - watch her performing Strazdas - here, Angelai - here. Egle had the song Happy day in her mind for a long time. 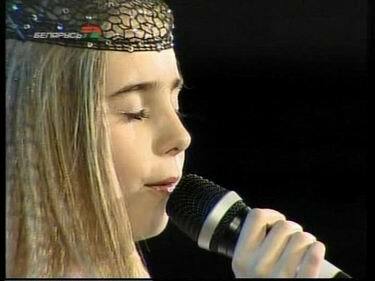 After she met the famous Lithuanian music producer Raigardas Tautkus, the song was arranged and prepared for the Junior Eurovision Song Contest. 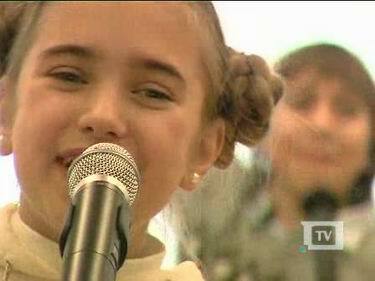 Then she became ten years old and got the right to take part in the contest which she won, having huge support from the audience. Choreography of Egle's presentation is done by Mantas Svirskys. The song is very simple but is full of sense too. 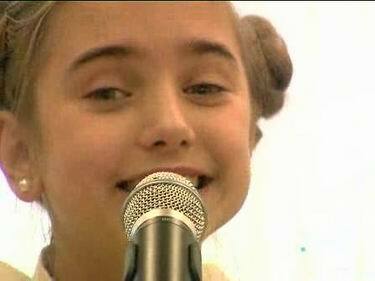 Singer wanted totell everybody about her happy life, happy days and all because she can dream, sing, dance, play, has got a puppy, has lots of friends, big brothers and great parents. "This is my happiest day for sure. 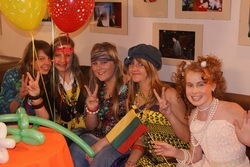 All entries in the national final were very strong, and deserved a victory. But everything worked well for me today", said happy winner after the contest. Р­РіР»Рµ Р®СЂРіР°Р№С‚РёС‚Рµ СЂРѕРґРёР»Р°СЃСЊ 24 СЏРЅРІР°СЂСЏ 1998 РіРѕРґР°. РћРЅР° Р·Р°РЅРёРјР°РµС‚СЃСЏ РІРѕРєР°Р»РѕРј СЃ РёР·РІРµСЃС‚РЅС‹РјРё Р»РёС‚РѕРІСЃРєРёРјРё РїРµРґР°РіРѕРіР°РјРё СЃ РІРѕР·СЂР°СЃС‚Р° РІ 4 РіРѕРґР°. РћРЅР° С‚Р°РєР¶Рµ РїРѕСЃРµС‰Р°РµС‚ РјСѓР·С‹РєР°Р»СЊРЅСѓСЋ С€РєРѕР»Сѓ, Р±РµСЂРµС‚ СѓСЂРѕРєРё СЃРѕРІСЂРµРјРµРЅРЅРѕРіРѕ С‚Р°РЅС†Р°, Р±Р°Р»РµС‚Р° Рё РёРіСЂС‹ РЅР° С„РѕСЂС‚РµРїРёР°РЅРѕ Рё РјРµС‡С‚Р°РµС‚ СЃС‚Р°С‚СЊ РѕРїРµСЂРЅРѕР№ РїРµРІРёС†РµР№. РљР°Рє РѕРЅР° СЃР°РјР° РіРѕРІРѕСЂРёС‚ - РјСѓР·С‹РєР° - СЌС‚Рѕ РµРµ РјРµС‡С‚Р° Рё РѕРЅР° СЃР°РјР°СЏ СЃС‡Р°СЃС‚Р»РёРІР°СЏ РґРµРІРѕС‡РєР° РІ РјРёСЂРµ, РїРѕС‚РѕРјСѓ С‡С‚Рѕ РјРѕР¶РµС‚ РїРµС‚СЊ, С‚Р°РЅС†РµРІР°С‚СЊ Рё РІС‹СЃС‚СѓРїР°С‚СЊ РЅР° СЃС†РµРЅРµ РїРµСЂРµРґ Р·СЂРёС‚РµР»СЏРјРё. Р’ СЃРІРѕР±РѕРґРЅРѕРµ РІСЂРµРјСЏ РѕРЅР° РїРёС€РµС‚ СЃС‚РёС…Рё Рё С‚РµРєСЃС‚С‹ РґР»СЏ СЃРІРѕРёС… РїРµСЃРµРЅ, Р° РІРµС‡РµСЂРѕРј Р»СЋР±РёС‚ РІС‹С€РёРІР°С‚СЊ РґР»СЏ СЃРµР±СЏ С‡С‚Рѕ-РЅРёР±СѓРґСЊ. РџРµСЂРІСѓСЋ РЅР°РіСЂР°РґСѓ Р·Р° Р»СѓС‡С€РµРµ РІРѕРєР°Р»СЊРЅРѕРµ РІС‹СЃС‚СѓРїР»РµРЅРёРµ РїРѕР»СѓС‡РёР»Р° РІ 4 РіРѕРґР°: РІ 2002 Рі. РЅР° РњРµР¶РґСѓРЅР°СЂРѕРґРЅРѕРј РїРѕРї-С„РµСЃС‚РёРІР°Р»Рµ "Р—РІРµР·РґРѕС‡РєРё Р”Р·СѓРєРёРё" (Рі. РђР»РёС‚СѓСЃ, Р›РёС‚РІР°). Р’ 2003 вЂ“ 2004 РіРі. РїРµР»Р° РІ РґРµС‚СЃРєРѕР№ РІРѕРєР°Р»СЊРЅРѕР№ РіСЂСѓРїРїРµ "РњРёРєСЂРѕС„РѕРЅ", РІ СЃРѕСЃС‚Р°РІРµ РєРѕС‚РѕСЂРѕР№ РІС‹СЃС‚СѓРїР°Р»Р° РІ РіРѕСЂРѕРґР°С… Р›РёС‚РІС‹, СѓС‡Р°СЃС‚РІРѕРІР°Р»Р° РІ С„РµСЃС‚РёРІР°Р»СЏС… СЌСЃС‚СЂР°РґРЅРѕР№ РїРµСЃРЅРё РІ Р®СЂР±Р°СЂРєР°СЃРµ, РЁСЏСѓР»СЏРµ, Р’РёСЃР°РіРёРЅР°СЃРµ. РЎ СЌС‚РёРј Р¶Рµ РєРѕР»Р»РµРєС‚РёРІРѕРј СЃРЅСЏР»Р°СЃСЊ РІ РєР»РёРїР°С… "РџРѕРµР·Рґ" Рё "Р“СЂРѕРј РіСЂРµРјРёС‚". Р’ 2004 Рі. РїРѕСЃС‚СѓРїРёР»Р° РІ РјСѓР·С‹РєР°Р»СЊРЅСѓСЋ С€РєРѕР»Сѓ Р”РІР°СЂРµРЅРёСЃР° РІ Р’РёР»СЊРЅСЋСЃРµ. РЎ 2005 Рі. РѕР±СѓС‡Р°РµС‚СЃСЏ РІРѕРєР°Р»СЊРЅРѕРјСѓ РјР°СЃС‚РµСЂСЃС‚РІСѓ Сѓ РќРёР№РѕР»Рµ РњР°С†РµРєР°Р№С‚РёС‚Рµ, РєРѕС‚РѕСЂР°СЏ С‚Р°РєР¶Рµ РїРѕРјРѕРіР»Р° Р­РіР»Рµ РїРѕРґРіРѕС‚РѕРІРёС‚СЊСЃСЏ Рє Р”РµС‚СЃРєРѕРјСѓ Р•РІСЂРѕРІРёРґРµРЅРёСЋ. 2005 Рі. вЂ“ Р»Р°СѓСЂРµР°С‚ II РїСЂРµРјРёРё РњРµР¶РґСѓРЅР°СЂРѕРґРЅРѕРіРѕ РєРѕРЅРєСѓСЂСЃР° СЋРЅС‹С… С‚Р°Р»Р°РЅС‚РѕРІ "РљР°СѓРЅР°СЃ" (Р›РёС‚РІР°); СѓС‡Р°СЃС‚РЅРёС†Р° С„РµСЃС‚РёРІР°Р»РµР№ "Mes-Pasaulis", "Vilniaus Talentai 2005". 2006 Рі. вЂ“ Р»Р°СѓСЂРµР°С‚ I РїСЂРµРјРёРё РњРµР¶РґСѓРЅР°СЂРѕРґРЅРѕРіРѕ РєРѕРЅРєСѓСЂСЃР° "Dainu bure" (Рі. РљР»Р°Р№РїРµРґР°, Р›РёС‚РІР°); СѓС‡Р°СЃС‚РЅРёС†Р° РјРµР¶РґСѓРЅР°СЂРѕРґРЅС‹С… РєРѕРЅРєСѓСЂСЃРѕРІ РІ Р‘РѕР»РіР°СЂРёРё Рё Р“РµСЂРјР°РЅРёРё, Р»Р°СѓСЂРµР°С‚ II РїСЂРµРјРёРё РєРѕРЅРєСѓСЂСЃР° "Kaledu karalyste" (Рі.РљР°СѓРЅР°СЃ, Р›РёС‚РІР°), III РїСЂРµРјРёРё "Kaunas Talent" (Р›РёС‚РІР°). 2007 Рі. вЂ“ Р»Р°СѓСЂРµР°С‚ I РїСЂРµРјРёРё РњРµР¶РґСѓРЅР°СЂРѕРґРЅРѕРіРѕ РєРѕРЅРєСѓСЂСЃР° "Р—РІРµР·РґРЅС‹Р№ РљСЂС‹Рј" (РЈРєСЂР°РёРЅР°); "Kaunas Talent" (Р›РёС‚РІР°), II РїСЂРµРјРёРё РЅР° РјРµР¶РґСѓРЅР°СЂРѕРґРЅРѕРј РєРѕРЅРєСѓСЂСЃРµ РІ РџРѕР»СЊС€Рµ. 2008 РіРѕРґ вЂ“ С„РёРЅР°Р»РёСЃС‚РєР° С‚РµР»РµРІРёР·РёРѕРЅРЅРѕРіРѕ РІРѕРєР°Р»СЊРЅРѕРіРѕ РєРѕРЅРєСѓСЂСЃР° "Р РёРЅРі РјР°Р»РµРЅСЊРєРёС… Р·РІРµР·Рґ 3" (Рі. Р’РёР»СЊРЅСЋСЃ), СѓС‡Р°СЃС‚РЅРёС†Р° "РЎР»Р°РІСЏРЅСЃРєРѕРіРѕ Р‘Р°Р·Р°СЂР° РІ Р’РёС‚РµР±СЃРєРµ" (Р‘РµР»Р°СЂСѓСЃСЊ) - РІС‹СЃС‚СѓРїР»РµРЅРёРµ СЃ РїРµСЃРЅРµР№ Strazdas РґРѕСЃС‚СѓРїРЅРѕ Р·РґРµСЃСЊ, Angelai - Р·РґРµСЃСЊ. РџРµСЃРЅСЋ "РЎС‡Р°СЃС‚Р»РёРІС‹Р№ РґРµРЅСЊ" Р­РіР»Рµ Р·Р°РґСѓРјР°Р»Р° СѓР¶Рµ РґР°РІРЅРѕ. РљРѕРіРґР° РѕРЅР° РІСЃС‚СЂРµС‚РёР»Р°СЃСЊ СЃ РёР·РІРµСЃС‚РЅС‹Рј РјСѓР·С‹РєР°Р»СЊРЅС‹Рј РїСЂРѕРґСЋСЃРµСЂРѕРј Р Р°Р№РіР°СЂРґР°СЃРѕРј РўР°СѓС‚РєСѓСЃРѕРј (РіСЂСѓРїРїР° N.E.O.) РѕРЅРё РїСЂРёРіРѕС‚РѕРІРёР»Рё Р°СЂР°РЅР¶РёСЂРѕРІРєСѓ РїРµСЃРЅРё Рё Р·Р°РїРёСЃР°Р»Рё РµРµ СЃРїРµС†РёР°Р»СЊРЅРѕ РґР»СЏ Р”РµС‚СЃРєРѕРіРѕ Р•РІСЂРѕРІРёРґРµРЅРёСЏ. РџРѕС‚РѕРј Р­РіР»Рµ РѕС‚РїСЂР°Р·РґРЅРѕРІР°Р»Р° СЃРІРѕР№ 10Р№ РґРµРЅСЊ СЂРѕР¶РґРµРЅСЊСЏ Рё СЃРјРѕРіР»Р° РїРѕРґР°С‚СЊ Р·Р°СЏРІРєСѓ РЅР° СѓС‡Р°СЃС‚РёРµ РІ РєРѕРЅРєСѓСЂСЃРµ, РІ РєРѕС‚РѕСЂРѕРј РѕРЅР° РїРѕР±РµРґРёР»Р°, РїРѕР»СѓС‡РёРІ РѕРіСЂРѕРјРЅСѓСЋ РїРѕРґРґРµСЂР¶РєСѓ РѕС‚ Р·СЂРёС‚РµР»РµР№. РҐРѕСЂРµРѕРіСЂР°С„ РЅРѕРјРµСЂР° Р­РіР»Рµ - РњР°РЅС‚Р°СЃ РЎРІРёСЂСЃРєРёСЃ. РџРµСЃРЅСЏ РѕС‡РµРЅСЊ РїСЂРѕСЃС‚Р°СЏ - Рё РІ С‚РѕР¶Рµ РІСЂРµРјСЏ РЅР°РїРѕР»РЅРµРЅР° СЃРјС‹СЃР»РѕРј. РџРµРІРёС†Р° С…РѕС‚РµР»Р° СЂР°СЃСЃРєР°Р·Р°С‚СЊ РІСЃРµРј Рѕ РµРµ СЃС‡Р°СЃС‚Р»РёРІРѕР№ Р¶РёР·РЅРё, СЃС‡Р°СЃС‚Р»РёРІС‹С… РґРЅСЏС…, РїРѕС‚РѕРјСѓ С‡С‚Рѕ РѕРЅР° РјРѕР¶РµС‚ РјРµС‡С‚Р°С‚СЊ, РїРµС‚СЊ, С‚Р°РЅС†РµРІР°С‚СЊ, РёРіСЂР°С‚СЊ, Сѓ РЅРµРµ РµСЃС‚СЊ С‰РµРЅРѕРє, РјРЅРѕРіРѕ РґСЂСѓР·РµР№, СЃС‚Р°СЂС€РёРµ Р±СЂР°С‚СЊСЏ Рё Р»СЋР±РёРјС‹Рµ СЂРѕРґРёС‚РµР»Рё. "Р­С‚Рѕ РјРѕР№ СЃР°РјС‹Р№ СЃС‡Р°СЃС‚Р»РёРІС‹Р№ РґРµРЅСЊ. Р’СЃРµ РїРµСЃРЅРё РІ РЅР°С†РёРѕРЅР°Р»СЊРЅРѕРј С„РёРЅР°Р»Рµ Р±С‹Р»Рё РѕС‡РµРЅСЊ СЃРёР»СЊРЅС‹Рµ Рё Р·Р°СЃР»СѓР¶РёРІР°Р»Рё РїРѕР±РµРґС‹. РќРѕ Сѓ РјРµРЅСЏ СЃРµРіРѕРґРЅСЏ РІСЃРµ РїРѕР»СѓС‡Р°Р»РѕСЃСЊ Рё РІСЃРµ СЃСЂР°Р±РѕС‚Р°Р»Рѕ", Р·Р°СЏРІРёР»Р° СЂР°РґРѕСЃС‚РЅР°СЏ РїРѕР±РµРґРёС‚РµР»СЊРЅРёС†Р° РїРѕСЃР»Рµ РєРѕРЅРєСѓСЂСЃР°. Ve au ve a au. AЕЎ kaip ir tu moku tylД—ti. KodД—l taip greit keiДЌiasi metai? KodД—l taip greit man sukasi laikas? Why sun rises in the morning? Why sounds wake up the silence? Why seasons changes so quickly? Why time turns so fast? My day is full of sense. I wanna sing with you. 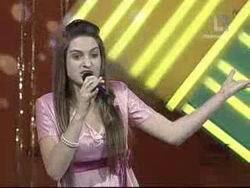 - Hello, Egle, and first of all our congratulations for winning Lithuanian national selection! What were your first thoughts when you realized you are the winner of the competition? - After the announcement of the winner I was so happy, that it seemed all the thoughts disappeared from my head and just the ultimate joy was left. - I am very cheerful, always singing, cannot stay in one place even for a moment, I am never tired, I am ambitious in seeking goals, I love my family and my puppy very much, I have hundreds of friends, so in a few words, I am simple, cheerful and friendly. - Can you tell us about the story of the song creation? What your song is about? - I took part in the music contest вЂњSlavianskij BazarвЂќ and have met lots of children and youngsters who were preparing for the Junior Eurovision contest. 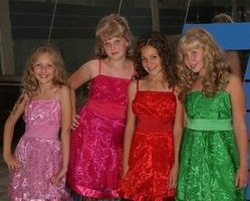 Some of them have been already elected to represent their countries in the international contest. The thought of it excited me at once. Since I already had created a few songs, as soon as I came back I took all the songs and went to meet composer and music producer Raigardas Tautkus to ask for his assistance. He has listened to my songs, has read my lyrics and understood what I want to express when I sing. Afterwards, he has put together my and his musical ideas, arranged it all and the song вЂњHappy dayвЂќ was born. It is a pity that it cannot be longer than 2 minutes and 45 seconds. The song вЂњHappy dayвЂќ is not the song by accident. Being very simple is very full of sense as well. With my song I want to say to everybody, what a happy life I have got, with the days which are happy each day and all because I can dream, sing, dance, play, have got my puppy, have lots of friends, big brothers and tremendous parents. - How will you visually present your entry on stage? Will it be similar performance as during Lithuanian national final, or is there plan to add any visual effects for the international audience to understand better your song? - Performance of the song will be almost the same but slight changes will be brought in. During the performance of the national contest we have made all to attract our national spectators. Now we need to put much more efforts seeking to convince European spectator that we are very happy with our вЂњHappy dayвЂќ. A huge team of professional helps me to prepare for the contest especially we work on making the performance as comprehensible as possible as the song must be performed in national language. 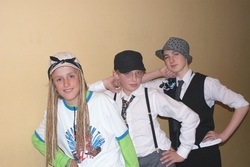 - Since I am going to represent Lithuania, me and my team are preparing for this contest very seriously. Everyday we are rehearsing with dancers; in addition I work a lot with my vocal and choreography. - Is it difficult for you now to prepare for the contest and study in school? - I combine music and school since the first grade. Therefore, the contest it self has not brought much changes except I will miss one week of school. But I do not worry to much as it is not the first time and usually all comes back to the daily order when I return from he contests. 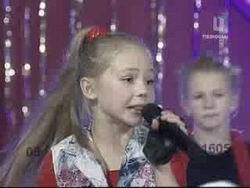 - Have youвЂ™ve been watching JESC in past years? Any favourites you had? - Oh yes, I was watching the contest for sure. 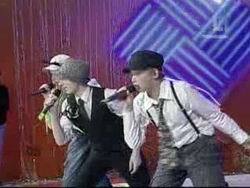 I was envying them as last year I was just nine years old and that meant I was too young to participate. Of course, I supported our country representative, Lina Joy. 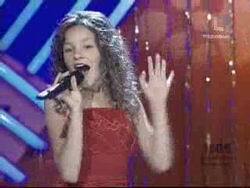 I liked her performance a lot. 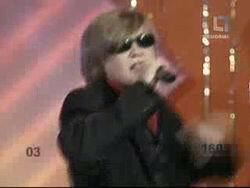 I liked Netherlands performance as well. - Are you interested to find who will represent other countries in competition; do you follow preselection news from other countries? 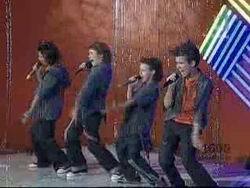 - I went through all the performances several times. There are some great ones. The analysis makes me preparing for the contest with more effort and responsibility. I know it will not be easy but I will try hard. - ItвЂ™s even difficult to count all national and international contests I took part in. 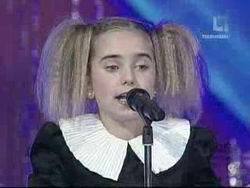 I always had the goal to win and with Junior Eurovision it is the same, I want to win, to have a good time and to make new friends. It is a big pleasure for me. - So, do you like contests and to compete in general? - Singing for spectators in various festivals and concerts is what I like the most, since I can sing for the crowd and communicate with them вЂ“ I really look forward to them. Participation in the contests is a good test of ones capabilities. Only through mistakes of your own and others, we can improve. Probably itвЂ™s strange, but I never feel any competition to other participants at the contests. - YouвЂ™ve taken part in Slavyansky Bazar contest earlier this year, what are your memories of it? - I came back form the contest being in the wonderful state. It was amazing reception, warm micro climate among participants. Me and my supervisors were really satisfied. 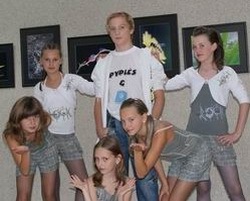 - Can you tell us, how looks basic day of the modern Lithuanian kid? What activities do you usually have? - For all children the day begins with going to school. After lessons, most of them are occupied with additional activities such as music, sport, art, dance and other. Then, home sweet home, playing with friends in the yard, computer, supper, family, homework and then the other day. If there is time left after all of my other activities, I like to play with my friends, to ride a bicycle, to skate with roller-skates. I spend lots of time taking care of my puppy. In the evenings I play piano, read books, chat with family by the fireplace. - What are your plans after the contest? 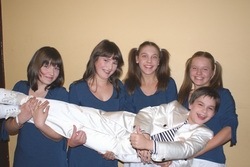 Do you really want to become opera singer in future? - I have no particular plans for the future after the contest as there was no time left to think what could change after it finishes. At first I wanted to be opera singer very much, then jazz performer and then pop singer. But now, as I am deeper in the music I do not know. All I know at the moment is that my future is in music, with music and for music. - Thanks for the interview and good luck with preparations! - РџСЂРёРІРµС‚, Р­РіР»Рµ, Рё РїСЂРµР¶РґРµ РІСЃРµРіРѕ РЅР°С€Рё РїРѕР·РґСЂР°РІР»РµРЅРёСЏ СЃ РїРѕР±РµРґРѕР№ РЅР° Р»РёС‚РѕРІСЃРєРѕРј РЅР°С†РёРѕРЅР°Р»СЊРЅРѕРј РѕС‚Р±РѕСЂРµ! РљР°РєР°СЏ Р±С‹Р»Р° С‚РІРѕСЏ РїРµСЂРІР°СЏ РјС‹СЃР»СЊ, РєРѕРіРґР° С‚С‹ РїРѕРЅСЏР»Р°, С‡С‚Рѕ РїРѕР±РµР¶РґР°РµС€СЊ РЅР° СЌС‚РѕРј РєРѕРЅРєСѓСЂСЃРµ? - РџРѕСЃР»Рµ РѕР±СЉСЏРІР»РµРЅРёСЏ РїРѕР±РµРґРёС‚РµР»СЏ СЏ Р±С‹Р»Р° С‚Р°Рє СЂР°РґР°, С‡С‚Рѕ РєР°Р·Р°Р»РѕСЃСЊ, С‡С‚Рѕ РІСЃРµ РјС‹СЃР»Рё Сѓ РјРµРЅСЏ РёР· РіРѕР»РѕРІС‹ РёСЃС‡РµР·Р»Рё, СЏ Р±С‹Р»Р° РїСЂРѕСЃС‚Рѕ РїРѕРіР»РѕС‰РµРЅР° СЂР°РґРѕСЃС‚СЊСЋ. - РџРѕР¶Р°Р»СѓР№СЃС‚Р°, РїСЂРµРґСЃС‚Р°РІСЊ СЃРµР±СЏ РІ РѕРґРЅРѕРј РїСЂРµРґР»РѕР¶РµРЅРёРё? - РЇ РѕС‡РµРЅСЊ Р¶РёР·РЅРµСЂР°РґРѕСЃС‚РЅР°СЏ, РІСЃРµРіРґР° РїРѕСЋ, РЅРµ РјРѕРіСѓ РЅРё РјРёРЅСѓС‚С‹ СѓСЃРёРґРµС‚СЊ РЅР° РѕРґРЅРѕРј РјРµСЃС‚Рµ, РЅРѕ РЅРёРєРѕРіРґР° РЅРµ СѓСЃС‚Р°СЋ. РЇ Р°РјР±РёС†РёРѕР·РЅРѕ СЃС‚СЂРµРјР»СЋСЃСЊ Рє РґРѕСЃС‚РёР¶РµРЅРёРё С†РµР»РµР№. Р›СЋР±Р»СЋ СЃРІРѕСЋ СЃРµРјСЊСЋ Рё РјРѕРµРіРѕ С‰РµРЅРєР°, Сѓ РјРµРЅСЏ СЃРѕС‚РЅРё РґСЂСѓР·РµР№. Р’ РѕР±С‰РµРј, СЏ РїСЂРѕСЃС‚Р°СЏ, РІРµСЃРµР»Р°СЏ Рё РґСЂСѓР¶РµР»СЋР±РЅР°СЏ РґРµРІРѕС‡РєР°. - Р Р°СЃСЃРєР°Р¶Рё РЅР°Рј, РєР°Рє СЃРѕР·РґР°РІР°Р»Р°СЃСЊ С‚РІРѕСЏ РїРµСЃРЅСЏ? Рћ С‡РµРј РѕРЅР°? - РЇ РїСЂРёРЅРёРјР°Р»Р° СѓС‡Р°СЃС‚РёРµ РІ С„РµСЃС‚РёРІР°Р»Рµ "РЎР»Р°РІСЏРЅСЃРєРёР№ Р±Р°Р·Р°СЂ", РІСЃС‚СЂРµС‡Р°Р»Р°СЃСЊ СЃ РјРЅРѕРіРёРјРё РґРµС‚СЊРјРё, РєРѕС‚РѕСЂС‹Рµ СѓР¶Рµ РіРѕС‚РѕРІРёР»РёСЃСЊ Рє Р”РµС‚СЃРєРѕРјСѓ Р•РІСЂРѕРІРёРґРµРЅРёСЋ. РќРµРєРѕС‚РѕСЂС‹Рµ РёР· РЅРёС… СѓР¶Рµ РґР°Р¶Рµ Р±С‹Р»Рё РІС‹Р±СЂР°РЅС‹ РїСЂРµРґСЃС‚Р°РІР»СЏС‚СЊ СЃРІРѕСЋ СЃС‚СЂР°РЅСѓ РЅР° СЌС‚РѕРј РєРѕРЅРєСѓСЂСЃРµ. Р­С‚Р° РёРґРµСЏ РјРµРЅСЏ РїРѕР»РЅРѕСЃС‚СЊСЋ Р·Р°С…РІР°С‚РёР»Р°. РџРѕСЃРєРѕР»СЊРєСѓ Сѓ РјРµРЅСЏ СѓР¶Рµ Р±С‹Р» РѕРїС‹С‚ РЅР°РїРёСЃР°РЅРёСЏ РїРµСЃРµРЅ, РєР°Рє С‚РѕР»СЊРєРѕ СЏ РІРµСЂРЅСѓР»Р°СЃСЊ РґРѕРјРѕР№, РјС‹ РІСЃС‚СЂРµС‚РёР»РёСЃСЊ СЃ РєРѕРјРїРѕР·РёС‚РѕСЂРѕРј Рё РїСЂРѕРґСЋСЃРµСЂРѕРј Р Р°Р№РіР°СЂРґР°СЃРѕРј РўР°СѓС‚РєСѓСЃРѕРј, Рё РїРѕРїСЂРѕСЃРёР»Рё РµРіРѕ РїРѕРјРѕС‡СЊ. РћРЅ РїРѕСЃР»СѓС€Р°Р» РјРѕРё РїРµСЃРЅРё, РїСЂРѕС‡РёС‚Р°Р» С‚РµРєСЃС‚С‹ Рё РїРѕРЅСЏР», С‡С‚Рѕ СЏ С…РѕС‡Сѓ РёРјРё РІС‹СЂР°Р·РёС‚СЊ. РџРѕСЃР»Рµ СЌС‚РѕРіРѕ РѕРЅ СЃРѕРµРґРёРЅРёР» РјРѕРё РІРѕР·РјРѕР¶РЅРѕСЃС‚Рё Рё РёРґРµРё, Р°СЂР°РЅР¶РёСЂРѕРІР°Р» РёС… Рё С‚Р°Рє СЂРѕРґРёР»Р°СЃСЊ РїРµСЃРЅСЏ "Р Р°РґРѕСЃС‚РЅС‹Р№ РґРµРЅСЊ". РўРѕР»СЊРєРѕ РѕС‡РµРЅСЊ Р¶Р°Р»СЊ, С‡С‚Рѕ РїРµСЃРЅСЏ РЅРµ РјРѕР¶РµС‚ Р±С‹С‚СЊ РґР»РёРЅРµРµ 2С… РјРёРЅСѓС‚ 45 СЃРµРєСѓРЅРґ. Р­С‚Р° РїРµСЃРЅСЏ СЂРѕРґРёР»Р°СЃСЊ РЅРµ СЃР»СѓС‡Р°Р№РЅРѕ. РҐРѕС‚СЏ РѕРЅР° РѕС‡РµРЅСЊ РїСЂРѕСЃС‚Р°СЏ, РІ РЅРµР№, РІ С‚Рѕ Р¶Рµ РІСЂРµРјСЏ, РѕС‡РµРЅСЊ РјРЅРѕРіРѕ СЃРјС‹СЃР»Р°. РЇ С…РѕС‡Сѓ СЃ РµРµ РїРѕРјРѕС‰СЊСЋ СЂР°СЃСЃРєР°Р·Р°С‚СЊ РІСЃРµРј, РєР°РєР°СЏ Сѓ РјРµРЅСЏ СЃС‡Р°СЃС‚Р»РёРІР°СЏ Р¶РёР·РЅСЊ, С‡С‚Рѕ СЏ СЂР°РґСѓСЋСЃСЊ РєР°Р¶РґРѕРјСѓ РґРЅСЋ, РїРѕС‚РѕРјСѓ С‡С‚Рѕ СЏ РјРѕРіСѓ РјРµС‡С‚Р°С‚СЊ, РїРµС‚СЊ, С‚Р°РЅС†РµРІР°С‚СЊ, РёРіСЂР°С‚СЊ СЃ С‰РµРЅРєРѕРј, СЃ РґСЂСѓР·СЊСЏРјРё, СЃС‚Р°СЂС€РёРјРё Р±СЂР°С‚СЊСЏРјРё Рё РјРѕРёРјРё РїРѕС‚СЂСЏСЃР°СЋС‰РёРјРё СЂРѕРґРёС‚РµР»СЏРјРё. - РљР°Рє С‚С‹ РїСЂРµРґСЃС‚Р°РІРёС€СЊ СЃРІРѕСЋ РїРµСЃРЅСЋ РЅР° СЃС†РµРЅРµ? Р‘СѓРґРµС‚ Р»Рё С‚РІРѕРµ РІС‹СЃС‚СѓРїР»РµРЅРёРµ РїРѕС…РѕР¶Рµ РЅР° С‚Рѕ, С‡С‚Рѕ РјС‹ РІРёРґРµР»Рё РІРѕ РІСЂРµРјСЏ Р»РёС‚РѕРІСЃРєРѕРіРѕ РѕС‚Р±РѕСЂР°, РёР»Рё РІС‹ РїР»Р°РЅРёСЂСѓРµС‚Рµ РёР·РјРµРЅРёС‚СЊ РµРіРѕ РґР»СЏ РјРµР¶РґСѓРЅР°СЂРѕРґРЅРѕР№ Р°СѓРґРёС‚РѕСЂРёРё, С‡С‚РѕР±С‹ РѕРЅР° Р»СѓС‡С€Рµ РїРѕРЅСЏР»Р° РІР°С€Сѓ РїРµСЃРЅСЋ? - Р’С‹СЃС‚СѓРїР»РµРЅРёРµ Р±СѓРґРµС‚ РїРѕС‡С‚Рё С‚Р°РєРёРј Р¶Рµ, РЅРѕ РјС‹ РІРЅРµСЃР»Рё РЅРµРєРѕС‚РѕСЂС‹Рµ РёР·РјРµРЅРµРЅРёСЏ. Р’Рѕ РІСЂРµРјСЏ РЅР°С†РёРѕРЅР°Р»СЊРЅРѕРіРѕ РѕС‚Р±РѕСЂР° СЃР°РјРѕРµ РіР»Р°РІРЅРѕРµ Р±С‹Р»Рѕ РїСЂРёРІР»РµС‡СЊ РјРµСЃС‚РЅС‹С… Р·СЂРёС‚РµР»РµР№. РўРµРїРµСЂСЊ Р¶Рµ РЅР°Рј РЅР°РґРѕ РїРѕСЃС‚Р°СЂР°С‚СЊСЃСЏ, С‡С‚РѕР±С‹ Рё Р·Р°РіСЂР°РЅРёС‡РЅР°СЏ Р°СѓРґРёС‚РѕСЂРёСЏ РїРѕРЅСЏР»Р°, С‡С‚Рѕ РјС‹ РѕС‡РµРЅСЊ СЃС‡Р°СЃС‚Р»РёРІС‹ РЅР°С€РёРј "Р Р°РґРѕСЃС‚РЅС‹Рј РґРЅРµРј". РџРѕСЌС‚РѕРјСѓ, РјРЅРµ РїРѕРјРѕРіР°РµС‚ РѕРіСЂРѕРјРЅР°СЏ РєРѕРјР°РЅРґР° РїСЂРѕС„РµСЃСЃРёРѕРЅР°Р»РѕРІ. РћСЃРѕР±РµРЅРЅРѕ РІР°Р¶РЅРѕ РїРѕСЃС‚Р°СЂР°С‚СЊСЃСЏ РІС‹СЂР°Р·РёС‚СЊ РІСЃСЋ РёРґРµСЋ РІС‹СЃС‚СѓРїР»РµРЅРёРµРј, РїРѕС‚РѕРјСѓ С‡С‚Рѕ РїРµС‚СЊ РїСЂРёРґРµС‚СЃСЏ РЅР° Р»РёС‚РѕРІСЃРєРѕРј СЏР·С‹РєРµ. - РљР°РєРѕРІС‹ С‚РІРѕРё РїР»Р°РЅС‹ РїРѕРґРіРѕС‚РѕРІРєРё Рє РєРѕРЅРєСѓСЂСЃСѓ? - РџРѕСЃРєРѕР»СЊРєСѓ СЏ Р±СѓРґСѓС‚ РїСЂРµРґСЃС‚Р°РІР»СЏС‚СЊ РІСЃСЋ Р›РёС‚РІСѓ, СЏ Рё РјРѕСЏ РєРѕРјР°РЅРґР° СЂР°Р±РѕС‚Р°РµРј РѕС‡РµРЅСЊ СЃРµСЂСЊРµР·РЅРѕ. РљР°Р¶РґС‹Р№ РґРµРЅСЊ РјС‹ СЂРµРїРµС‚РёСЂСѓРµРј СЃ РјРѕРёРјРё С‚Р°РЅС†РѕСЂР°РјРё, С‚Р°РєР¶Рµ СЏ СЂР°Р±РѕС‚Р°СЋ РЅР°Рґ РІРѕРєР°Р»РѕРј Рё С…РѕСЂРµРѕРіСЂР°С„РёРµР№. - РўСЏР¶РµР»Рѕ Р»Рё С‚РµР±Рµ Р±СѓРґРµС‚ РіРѕС‚РѕРІРёС‚СЊСЃСЏ Рє РєРѕРЅРєСѓСЂСЃСѓ Рё РѕРґРЅРѕРІСЂРµРјРµРЅРЅРѕ Р·Р°РЅРёРјР°С‚СЊСЃСЏ РІ С€РєРѕР»Рµ? - РЇ СЃРѕРІРјРµС‰Р°СЋ РјСѓР·С‹РєСѓ Рё С€РєРѕР»Сѓ СЃ РїРµСЂРІРѕРіРѕ РєР»Р°СЃР°. РџРѕСЌС‚РѕРјСѓ, СѓС‡Р°СЃС‚РёРµ РІ СЌС‚РѕРј РєРѕРЅРєСѓСЂСЃРµ РЅРµ РїСЂРёРІРЅРµСЃР»Рѕ РєР°РєРёС…-С‚Рѕ РѕСЃРѕР±С‹С… РёР·РјРµРЅРµРЅРёР№, РїРѕРјРёРјРѕ С‚РѕРіРѕ, С‡С‚Рѕ РјРЅРµ РїСЂРёРґРµС‚СЃСЏ РїСЂРѕРїСѓСЃС‚РёС‚СЊ РЅРµРґРµР»СЋ С€РєРѕР»С‹, РєРѕРіРґР° СЏ Р±СѓРґСѓ РЅР° РљРёРїСЂРµ. РќРѕ СЏ РЅРµ РІРѕР»РЅСѓСЋСЃСЊ РѕР± СЌС‚РѕРј, СЌС‚Рѕ РЅРµ РїРµСЂРІС‹Р№ СЂР°Р·, Рё РІСЃРµ РїСЂРёС…РѕРґРёС‚ РІ РЅРѕСЂРјСѓ, РєРѕРіРґР° СЏ РІРѕР·РІСЂР°С‰Р°СЋСЃСЊ СЃ РєРѕРЅРєСѓСЂСЃРѕРІ РґРѕРјРѕР№. - РўС‹ СЃРјРѕС‚СЂРµР»Р° Р”РµС‚СЃРєРѕРµ Р•РІСЂРѕРІРёРґРµРЅРёРµ РІ РїСЂРѕС€Р»С‹Рµ РіРѕРґС‹, Сѓ С‚РµР±СЏ Р±С‹Р»Рё РєР°РєРёРµ-С‚Рѕ Р»РёС‡РЅС‹Рµ С„Р°РІРѕСЂРёС‚С‹? - Рћ, РґР°, РєРѕРЅРµС‡РЅРѕ Р¶Рµ, СЏ СЃРјРѕС‚СЂРµР»Р° РєРѕРЅРєСѓСЂСЃ. РћС‡РµРЅСЊ Р·Р°РІРёРґРѕРІР°Р»Р° СѓС‡Р°СЃС‚РЅРёРєР°Рј РІ РїСЂРѕС€Р»РѕРј РіРѕРґСѓ, РїРѕС‚РѕРјСѓ С‡С‚Рѕ РјРЅРµ Р±С‹Р»Рѕ РІСЃРµРіРѕ 9 Р»РµС‚ Рё СЏ Р±С‹Р»Р° СЃР»РёС€РєРѕРј РјР°Р»РµРЅСЊРєРѕР№, С‡С‚РѕР±С‹ РїСЂРёРЅСЏС‚СЊ СѓС‡Р°СЃС‚РёРµ. РљРѕРЅРµС‡РЅРѕ Р¶Рµ, СЏ РїРѕРґРґРµСЂР¶РёРІР°Р»Р° РЅР°С€Сѓ РєРѕРЅРєСѓСЂСЃР°РЅС‚РєСѓ Р›РёРЅСѓ Р”Р¶РѕР№. РњРЅРµ РѕС‡РµРЅСЊ РїРѕРЅСЂР°РІРёР»РѕСЃСЊ РµРµ РІС‹СЃС‚СѓРїР»РµРЅРёРµ. Р•С‰Рµ РјРЅРµ РїРѕРЅСЂР°РІРёР»РёСЃСЊ РёСЃРїРѕР»РЅРёС‚РµР»Рё РёР· Р“РѕР»Р»Р°РЅРґРёРё. - РўРµР±Рµ РёРЅС‚РµСЂРµСЃРЅРѕ, РєС‚Рѕ Р±СѓРґРµС‚ РїСЂРµРґСЃС‚Р°РІР»СЏС‚СЊ РЅР° Р•РІСЂРѕРІРёРґРµРЅРёРё РґСЂСѓРіРёРµ СЃС‚СЂР°РЅС‹, С‚С‹ СЃР»РµРґРёС€СЊ Р·Р° РЅРѕРІРѕСЃС‚СЏРјРё РѕС‚Р±РѕСЂРѕРІ? - Р”Р°, СЏ СѓР¶Рµ РїРѕ РЅРµСЃРєРѕР»СЊРєСѓ СЂР°Р· РїРµСЂРµСЃРјРѕС‚СЂРµР»Р° РІСЃРµ РёС… РІС‹СЃС‚СѓРїР»РµРЅРёСЏ. Р•СЃС‚СЊ РЅРµСЃРєРѕР»СЊРєРѕ РѕС‚Р»РёС‡РЅС‹С… РїРµСЃРµРЅ. РџРѕРґРѕР±РЅС‹Р№ Р°РЅР°Р»РёР· РїРѕРјРѕРіР°РµС‚ РјРЅРµ РіРѕС‚РѕРІРёС‚СЊСЃСЏ Рє РєРѕРЅРєСѓСЂСЃСѓ СЃ Р±РѕР»СЊС€РµР№ РѕС‚РІРµС‚СЃС‚РІРµРЅРЅРѕСЃС‚СЊСЋ. РЇ Р·РЅР°СЋ, С‡С‚Рѕ Р»РµРіРєРѕ РЅРµ Р±СѓРґРµС‚, РЅРѕ СЏ Р±СѓРґСѓ СЃС‚Р°СЂР°С‚СЊСЃСЏ. - РљР°РєР°СЏ С‚РІРѕСЏ С†РµР»СЊ РЅР° РєРѕРЅРєСѓСЂСЃРµ? РўС‹ СЃС‚СЂРµРјРёС€СЊСЃСЏ Рє РїРѕР±РµРґРµ, РёР»Рё РїСЂРѕСЃС‚Рѕ С…РѕС‡РµС€СЊ С…РѕСЂРѕС€Рѕ РїСЂРѕРІРµСЃС‚Рё РІСЂРµРјСЏ Рё Р·Р°РІРµСЃС‚Рё РјРЅРѕРіРѕ РЅРѕРІС‹С… РґСЂСѓР·РµР№? - РЇ РґР°Р¶Рµ РЅРµ РјРѕРіСѓ СЃРѕСЃС‡РёС‚Р°С‚СЊ, РІ РєР°РєРѕРј РєРѕР»РёС‡РµСЃС‚РІРµ РєРѕРЅРєСѓСЂСЃРѕРІ СЏ СѓР¶Рµ РїСЂРёРЅРёРјР°Р»Р° СѓС‡Р°СЃС‚РёРµ. Р’ РєР°Р¶РґРѕРј РёР· РЅРёС… РјРѕРµР№ С†РµР»СЊСЋ Р±С‹Р»Р° РїРѕР±РµРґР°- Рё Р”РµС‚СЃРєРѕРµ Р•РІСЂРѕРІРёРґРµРЅРёРµ РЅРµ РёСЃРєР»СЋС‡РµРЅРёРµ. РЇ С…РѕС‡Сѓ РїРѕР±РµРґРёС‚СЊ, РїСЂРѕРІРµСЃС‚Рё С…РѕСЂРѕС€Рѕ РІСЂРµРјСЏ Рё РЅР°Р№С‚Рё РЅРѕРІС‹С… РґСЂСѓР·РµР№. Р­С‚Рѕ Р±РѕР»СЊС€РѕРµ СѓРґРѕРІРѕР»СЊСЃС‚РІРёРµ РґР»СЏ РјРµРЅСЏ. - РўС‹ РІРѕРѕР±С‰Рµ Р»СЋР±РёС€СЊ РєРѕРЅРєСѓСЂСЃС‹ Рё СЃРѕРїРµСЂРЅРёС‡РµСЃС‚РІРѕ? - Р’С‹СЃС‚СѓРїР»РµРЅРёСЏ РїРµСЂРµРґ Р·СЂРёС‚РµР»СЏРјРё РЅР° С„РµСЃС‚РёРІР°Р»СЏС… Рё РєРѕРЅРєСѓСЂСЃР°С… - СЌС‚Рѕ С‚Рѕ, С‡С‚Рѕ РјРЅРµ РЅСЂР°РІРёС‚СЃСЏ Р±РѕР»СЊС€Рµ РІСЃРµРіРѕ. РЇ РјРѕРіСѓ РїРµС‚СЊ РґР»СЏ Р±РѕР»СЊС€РѕРіРѕ РєРѕР»РёС‡РµСЃС‚РІР° Р·СЂРёС‚РµР»РµР№ Рё РїРµСЂРµРґР°РІР°С‚СЊ РёРј СЃРІРѕРё СЌРјРѕС†РёРё, РєР°Р¶РґС‹Р№ СЂР°Р· СЏ СЃ РЅРµС‚РµСЂРїРµРЅРёРµРј Р¶РґСѓ СЌС‚РѕРіРѕ РјРѕРјРµРЅС‚Р°. РЈС‡Р°СЃС‚РёРµ РІ РєРѕРЅРєСѓСЂСЃР°С… - СЌС‚Рѕ С…РѕСЂРѕС€Р°СЏ РІРѕР·РјРѕР¶РЅРѕСЃС‚СЊ РёСЃРїС‹С‚Р°С‚СЊ СЃРІРѕРё СЃРёР»С‹. РўРѕР»СЊРєРѕ СѓС‡Р°СЃСЊ РЅР° СЃРІРѕРёС… Рё С‡СѓР¶РёС… РѕС€РёР±РєР°С…, РјС‹ РјРѕР¶РµРј СѓР»СѓС‡С€Р°С‚СЊ СЃРµР±СЏ. Р’РѕР·РјРѕР¶РЅРѕ, СЌС‚Рѕ СЃС‚СЂР°РЅРЅРѕ, РЅРѕ РЅРёРєРѕРіРґР° РЅРµ РёСЃРїС‹С‚С‹РІР°Р»Р° С‡СѓРІСЃС‚РІР° РєРѕРЅРєСѓСЂРµРЅС†РёРё СЃ РґСЂСѓРіРёРјРё СѓС‡Р°СЃС‚РЅРёРєР°РјРё РєРѕРЅРєСѓСЂСЃРѕРІ. - Р’ СЌС‚РѕРј РіРѕРґСѓ С‚С‹ РїСЂРёРЅРёРјР°Р»Р° СѓС‡Р°СЃС‚РёРµ РІ С„РµСЃС‚РёРІР°Р»Рµ РЎР»Р°РІСЏРЅСЃРєРёР№ Р‘Р°Р·Р°СЂ, РєР°РєРёРµ Сѓ С‚РµР±СЏ РІРѕСЃРїРѕРјРёРЅР°РЅРёСЏ Рѕ РЅРµРј? - РЇ РІРµСЂРЅСѓР»Р°СЃСЊ СЃ РЅРµРіРѕ РІ РїСЂРёРїРѕРґРЅСЏС‚РѕРј РЅР°СЃС‚СЂРѕРµРЅРёРµ. Р‘С‹Р» РѕС‚Р»РёС‡РЅС‹Р№ РїСЂРёРµРј, РѕС‡РµРЅСЊ С‚РµРїР»С‹Р№ РјРёРєСЂРѕРєР»РёРјР°С‚ СЃСЂРµРґРё СѓС‡Р°СЃС‚РЅРёРєРѕРІ. РЇ Рё РјРѕРё РЅР°СЃС‚Р°РІРЅРёРєРё Р±С‹Р»Рё РѕС‡РµРЅСЊ РґРѕРІРѕР»СЊРЅС‹. - Р Р°СЃСЃРєР°Р¶РёС‚Рµ РЅР°Рј, РєР°Рє РІС‹РіР»СЏРґРёС‚ РѕР±С‹С‡РЅС‹Р№ РґРµРЅСЊ Р»РёС‚РѕРІСЃРєРѕРіРѕ СЂРµР±РµРЅРєР°? Р§РµРј С‚С‹ РѕР±С‹С‡РЅРѕ Р·Р°РЅРёРјР°РµС€СЊСЃСЏ? - Р”Р»СЏ РІСЃРµС… РґРµС‚РµР№ РґРµРЅСЊ РЅР°С‡РёРЅР°РµС‚СЃСЏ СЃ РїРѕС…РѕРґР° РІ С€РєРѕР»Сѓ. РџРѕСЃР»Рµ СѓСЂРѕРєРѕРІ, РјРЅРѕРіРёРµ РёР· РґРµС‚РµР№ Р·Р°РЅРёРјР°СЋС‚СЃСЏ РјСѓР·С‹РєРѕР№, СЃРїРѕСЂС‚РѕРј, РјСѓР·С‹РєРѕР№, С‚Р°РЅС†Р°РјРё, СЂРёСЃРѕРІР°РЅРёРµРј Рё РґСЂ. РџРѕС‚РѕРј, РЅР°РєРѕРЅРµС†, РґРѕРјР°, РёРіСЂР°СЋ СЃ РґСЂСѓР·СЊСЏРјРё РІРѕ РґРІРѕСЂРµ, РёРіСЂР°СЋ РЅР° РєРѕРјРїСЊСЋС‚РµСЂРµ, СѓР¶РёРЅР°СЋ, РѕР±С‰Р°СЋСЃСЊ СЃ СЃРµРјСЊРµР№, РґРµР»Р°СЋ РґРѕРјР°С€РЅРёРµ Р·Р°РґР°РЅРёСЏ Рё РЅР°СЃС‚СѓРїР°РµС‚ СЃР»РµРґСѓСЋС‰РёР№ РґРµРЅСЊ. Р•СЃР»Рё РµС‰Рµ РѕСЃС‚Р°РµС‚СЃСЏ РІСЂРµРјСЏ, СЏ Р»СЋР±Р»СЋ РёРіСЂР°С‚СЊ СЃ РґСЂСѓР·СЊСЏРјРё, РєР°С‚Р°С‚СЊСЃСЏ РЅР° РІРµР»РѕСЃРёРїРµРґРµ, РєР°С‚Р°С‚СЊСЃСЏ РЅР° СЂРѕР»РёРєРѕРІС‹С… РєРѕРЅСЊРєР°С…. РЇ РѕС‡РµРЅСЊ РјРЅРѕРіРѕ РІСЂРµРјРµРЅРё РїСЂРѕРІРѕР¶Сѓ СЃ РјРѕРёРј С‰РµРЅРєРѕРј. Р’РµС‡РµСЂР°РјРё СЏ РёРіСЂР°СЋ РЅР° С„РѕСЂС‚РµРїРёР°РЅРѕ, С‡РёС‚Р°СЋ РєРЅРёРіРё, РјС‹ Р±РѕР»С‚Р°РµРј СЃ СЃРµРјСЊРµР№ Сѓ РєР°РјРёРЅР°. - РљР°РєРёРµ РїР»Р°РЅС‹ Сѓ С‚РµР±СЏ РїРѕСЃР»Рµ РєРѕРЅРєСѓСЂСЃР°? РўС‹ РїСЂР°РІРґР° С…РѕС‡РµС€СЊ СЃС‚Р°С‚СЊ РѕРїРµСЂРЅРѕР№ РїРµРІРёС†РµР№ РІ Р±СѓРґСѓС‰РµРј? - РљР°РєРёС…-С‚Рѕ РѕСЃРѕР±РµРЅРЅС‹Р№ РїР»Р°РЅРѕРІ Сѓ РјРµРЅСЏ РїРѕРєР° РЅРµС‚, РїРѕС‚РѕРјСѓ С‡С‚Рѕ СЏ РµС‰Рµ РЅРµ Р·Р°РґСѓРјС‹РІР°Р»Р°СЃСЊ, С‡С‚Рѕ Р¶Рµ РјРѕР¶РµС‚ РёР·РјРµРЅРёС‚СЊСЃСЏ. РџРѕРЅР°С‡Р°Р»Сѓ СЏ РїСЂР°РІРґР° С…РѕС‚РµР»Р° СЃС‚Р°С‚СЊ РѕРїРµСЂРЅРѕР№ РїРµРІРёС†РµР№, РїРѕС‚РѕРј РґР¶Р°Р·РѕРІРѕР№, РїРѕС‚РѕРј РїСЂРѕСЃС‚Рѕ РїРѕРї. Рђ СЃРµР№С‡Р°СЃ, С‡РµРј Р±РѕР»СЊС€Рµ СЏ Р·Р°РЅРёРјР°СЋСЃСЊ РјСѓР·С‹РєРѕР№, С‚РµРј Р±РѕР»СЊС€Рµ РЅРѕРІС‹С… СЃС‚РёР»РµР№ СЏ РґР»СЏ СЃРµР±СЏ РѕС‚РєСЂС‹РІР°СЋ. Р•РґРёРЅСЃС‚РІРµРЅРЅРѕРµ, С‡С‚Рѕ СЏ С‚РѕС‡РЅРѕ Р·РЅР°СЋ, С‡С‚Рѕ РјРѕРµ Р±СѓРґСѓС‰РµРµ РІ РјСѓР·С‹РєРµ, СЃ РјСѓР·С‹РєРѕР№ Рё РґР»СЏ РјСѓР·С‹РєРё. - РЎРїР°СЃРёР±Рѕ Р·Р° РёРЅС‚РµСЂРІСЊСЋ, Рё СѓРІРёРґРёРјСЃСЏ РІ Р›РёРјР°СЃСЃРѕР»Рµ! 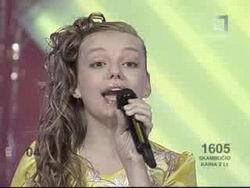 Egle JurgaitytД— is working hard on her preparations for the Junior Eurovision Song Contest. 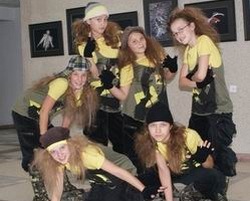 Together with hip-hop-style group "Be good" they are rehearsing their song "Laiminga Diena" two times per day. 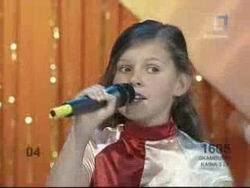 In rehearsals 10-years old Egle is assisted by professional musicians. You can watch video from the rehearsal here. Р­РіР»Рµ Р®СЂРіР°Р№С‚РёС‚Рµ РїСЂРѕРґРѕР»Р¶Р°РµС‚ РЅР°РїСЂСЏР¶РµРЅРЅСѓСЋ СЂР°Р±РѕС‚Сѓ РЅР°Рґ РїРѕРґРіРѕС‚РѕРІРєРѕР№ Рє Р”РµС‚СЃРєРѕРјСѓ Р•РІСЂРѕРІРёРґРµРЅРё. Р’РјРµСЃС‚Рµ СЃ С…РёРї-С…РѕРї РіСЂСѓРїРїРѕР№ "Be Good" РѕРЅРё РґРІР°Р¶РґС‹ РІ РґРµРЅСЊ СЂРµРїРµС‚РёСЂСѓСЋС‚ СЃРІРѕСЋ РїРµСЃРЅСЋ "Laiminga Diena". Р’Рѕ РІСЂРµРјСЏ СЂРµРїРµС‚РёС†РёР№ 10-Р»РµС‚РЅРµР№ Р­РіР»Рµ РїРѕРјРѕРіР°СЋС‚ РїСЂРѕС„РµСЃСЃРёРѕРЅР°Р»СЊРЅС‹Рµ РјСѓР·С‹РєР°РЅС‚С‹. Р—Р°РїРёСЃСЊ СЃ СЂРµРїРµС‚РёС†РёР№ РІС‹ РјРѕР¶РµС‚Рµ СѓРІРёРґРµС‚СЊ Р·РґРµСЃСЊ. Fourth selection round took place, you can watch it in LRT Archive here. 7 "Just LT" "Zinau" 13+812 РЎРѕСЃС‚РѕСЏР»СЃСЏ С‡РµС‚РІРµСЂС‚С‹Р№ РѕС‚Р±РѕСЂРѕС‡РЅС‹Р№ СЂР°СѓРЅРґ, РµРіРѕ Р·Р°РїРёСЃСЊ РІС‹ РјРѕР¶РµС‚Рµ РїРѕСЃРјРѕС‚СЂРµС‚СЊ РІ Р°СЂС…РёРІРµ LRT. Third selection round took place, it can be watched in LRT Archive. 06. Monika Valiuskyte "Muzika - deive" 32+282 (wildcard) РЎРѕСЃС‚РѕСЏР»СЃСЏ С‚СЂРµС‚РёР№ РѕС‚Р±РѕСЂРѕС‡РЅС‹Р№ СЂР°СѓРЅРґ, Р·Р°РїРёСЃСЊ РµРіРѕ РІС‹ РјРѕР¶РµС‚Рµ РїРѕСЃРјРѕС‚СЂРµС‚СЊ Р·РґРµСЃСЊ. 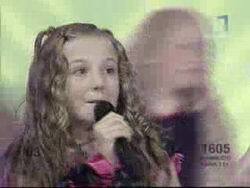 Second selection round of Lithuanian Junior Eurovision preselection took place, it can be watched in LRT Archive. Two acts have qualified to the next stage of preselection. National final will take place on 5th of October. РЎРѕСЃС‚РѕСЏР»СЃСЏ РІС‚РѕСЂРѕР№ РѕС‚Р±РѕСЂРѕС‡РЅС‹Р№ СЂР°СѓРЅРґ Р»РёС‚РѕРІСЃРєРѕРіРѕ РѕС‚Р±РѕСЂР° РЅР° Р”РµС‚СЃРєРѕРµ Р•РІСЂРѕРІРёРґРµРЅРёРµ, Р·Р°РїРёСЃСЊ РµРіРѕ РІС‹ РјРѕР¶РµС‚Рµ РїРѕСЃРјРѕС‚СЂРµС‚СЊ Р·РґРµСЃСЊ. Р”РІРµ РїРµСЃРЅРё РїСЂРѕС€Р»Рё РІ СЃР»РµРґСѓСЋС‰РёР№ СЂР°СѓРЅРґ РѕС‚Р±РѕСЂР°. Р¤РёРЅР°Р» РЅР°С†РёРѕРЅР°Р»СЊРЅРѕРіРѕ РѕС‚Р±РѕСЂР° СЃРѕСЃС‚РѕРёС‚СЃСЏ 5РіРѕ РѕРєС‚СЏР±СЂСЏ. First selection round of Lithuanian Junior Eurovision preselection took place on Saturday and it can be watched in LRT Archive. 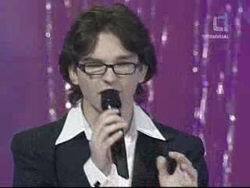 Show is hosted by Ruta Lukoseviciute and Jurgis Bruzga. Jury members were Asta Pilypaite, Vytauta Miskini, and Ara Veberi. Two acts have qualified to the next stage of preselection. National final will take place on 5th of October. РЎРѕСЃС‚РѕСЏР»СЃСЏ РїРµСЂРІС‹Р№ РѕС‚Р±РѕСЂРѕС‡РЅС‹Р№ СЂР°СѓРЅРґ Р»РёС‚РѕРІСЃРєРѕРіРѕ РѕС‚Р±РѕСЂР° РЅР° Р”РµС‚СЃРєРѕРµ Р•РІСЂРѕРІРёРґРµРЅРёРµ, Р·Р°РїРёСЃСЊ РµРіРѕ РІС‹ РјРѕР¶РµС‚Рµ РїРѕСЃРјРѕС‚СЂРµС‚СЊ Р·РґРµСЃСЊ. Р’РµРґСѓС‰РёРµ С€РѕСѓ Ruta Lukoseviciute Рё Jurgis Bruzga. Р§Р»РµРЅС‹ Р¶СЋСЂРё: Asta Pilypaite, Vytauta Miskini Рё Ara Veberi. 1. "Kvinta" вЂ“ "Muzikos virusas"
2. Gintare Korsakaite вЂ“ "Su saule isejai"
3. Ruta Jonaityte and studija "E-VITA" вЂ“ "Ritmas"
4. Deimante Meilute вЂ“ "Isskleisk sparnus"
5. "PYPLES & D." вЂ“ "Pyples"
6. Guoda Petrauskaite вЂ“ "Mano CV"
7. Doroteja Kravcenkaite вЂ“ "As mergaite"
8. Evelina Vaitkute вЂ“ "Skrydis"
9. Migle Raginyte вЂ“ "Man taip idomiau"
10. Egle Jurgaityte вЂ“ "Laiminga diena"
11. Trio "Mums gerai" вЂ“ "Drauges amzinai"
13. 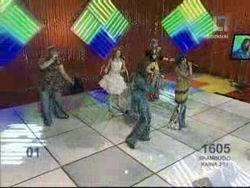 Greta Jureviciute вЂ“ "Juros smuikai"
14. Sigita Padvariskyte вЂ“ "Kas ji?" 15. Elvina Milkauskaite вЂ“ "Mano zodziai"
16. Raminta Macyte вЂ“ "Kompiuteriniai vaikai"
17. Dominykas Kovaliovas вЂ“ "Svajone"
18. Monika Valiuskyte вЂ“ "Muzika вЂ“ Deive"
19. Ringaile Difartaite вЂ“ "Kartais norisi kazko"
20. "Saules vaikai" вЂ“ "Soksim visa diena"
21. "Boys LT" вЂ“ "Kenkejas вЂ“ kompiuteris"
22. "Just LT" вЂ“ "Zinau"
23. "Girls LT" вЂ“ "Lie-tu-va"
24. Justina Barbaroviciute вЂ“ "Sapnai"
25. 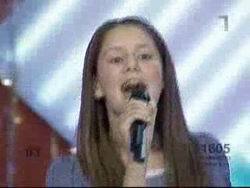 Karolina Zibkute вЂ“ "Vaka biedas"
Lithuanian broadcaster LRT has launched submission period for participation in JESC 2008. Entry form is available on LRT site. Submission deadline has been set for 20 of August, while national final will take place on 5th of October. Р›РёС‚РѕРІСЃРєР°СЏ С‚РµР»РµРєРѕРјРїР°РЅРёСЏ Р›Р Рў РЅР°С‡Р°Р»Р° РїСЂРёРµРј Р·Р°СЏРІРѕРє РЅР° СѓС‡Р°СЃС‚РёРµ РІ РЅР°С†РёРѕРЅР°Р»СЊРЅРѕРј РѕС‚Р±РѕСЂРµ РЅР° Р”РµС‚СЃРєРѕРµ Р•РІСЂРѕРІРёРґРµРЅРёРµ. Р¤РѕСЂРјР° Р·Р°СЏРІРєРё РґРѕСЃС‚СѓРїРЅР° РЅР° СЃР°Р№С‚Рµ LRT. Р—Р°СЏРІРєРё РїСЂРёРЅРёРјР°СЋС‚СЃСЏ РґРѕ 20 Р°РІРіСѓСЃС‚Р°, РЅР°С†РёРѕРЅР°Р»СЊРЅС‹Р№ С„РёРЅР°Р» СЃРѕСЃС‚РѕРёС‚СЃСЏ 5РіРѕ РѕРєС‚СЏР±СЂСЏ.